The 29 of each month is also a "small NI KU" day of the meat. 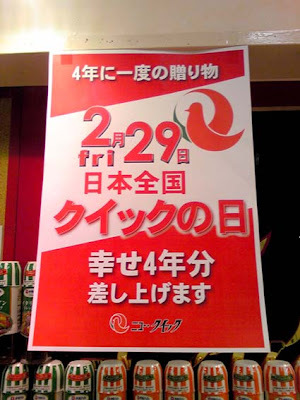 uruo niku no hi 閏肉の日（日本）"leap day of meat"
the most special day of meat, every 4 years only. Most supermarkets offer a lot of cheap meat on these days. The custom of eating meat from four-legged animals in Japan, especially beef, became more popular after the Meiji restauration. Buddhists are not allowed to eat meat of animals with four legs. Before modern times, beef was not eaten, only the hides of cows were used for drums and other items. But the meat of killed animals was a waste of food, so it was turned into a kind of "medicine" 薬食 and eaten by the rich. The daimyo of Hikone Ii Naosuke　井伊直弼　had meat from Omi cows 近江牛　prepared as misozuke, pickled in miso paste, and send it to Edo to the Tokugawa Shogun, especially also to Nariaki of Mito　水戸斉昭. Nariaki even wrote a letter to thank for the meat. The beef from Hikone was also dried in the cold 「寒」の干牛肉 during the coldest month of January and then eaten as "medicine". 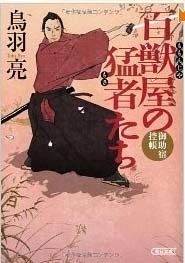 When Ii Naosuke was killed in the Sakuradamon incident on March 24, 1860, by a group of samurai from Mito, the shipments to Mito Tokugawa Nariaki stopped and Nariaki was quite unhappy about this turn of events.
. Ii Naosuke 井伊直弼 and 桜田門 Sakuradamon . In Edo, meat was offered at the market of Kojimachi 麹町. chiku 畜 referred to four-legged animals that should not be eaten by Buddhists and kin 禽 referred two-legged animals, birds to be eaten.
. kajikibashi 鹿食箸 chopstsicks to eat "mountain meat"
Meat from four-legged animals was not allowed for the pious Buddhist to eat and also not approved in Shinto. But there were exceptions, especially for ill people and for the poor mountain villages and hunter areas, since the Heian period. 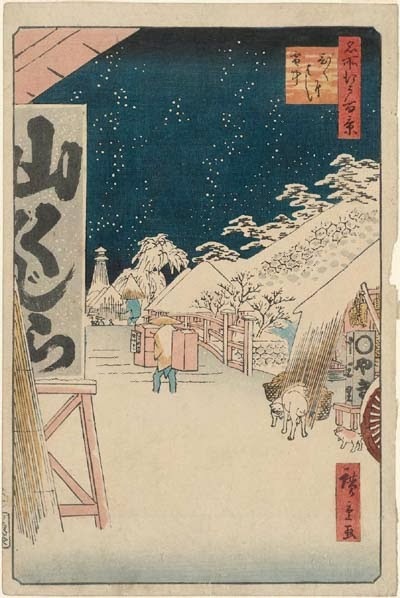 advertising for for the dealer Owariya　尾張屋, who also served dishes with wild boar meat. momonji referes to the meat of wild animals, like wild boar, deer or tanuki badgers. The first momonjiya shop in Edo was most probably the Kooshuuya　甲州屋 Koshuya in Koojimachi　麹町 Kojimachi. a fox riding a horse means things that do not fit together. But it seems Koshuya sold meat from fox and wolf too. Eating meat was allowed for ill or weak people, as medicine.
. kusuri gui, kusurigui 薬喰 "eating medicine" .
. Kōjimachi 麹町 / 麴町 Kojimachi district in Edo .
. Places of Edo 江戸の名所 .